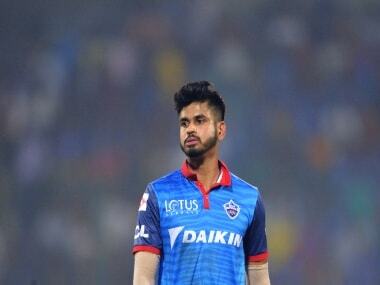 One thing is for sure: when the India-West Indies limited overs series gets underway on Friday, the West Indies’ team of young cricketers will be desperate to catch the eye of Indian Premier League talent scouts ahead of next year’s mega IPL auction. Just the thought that this series against India could be their ticket to fame and fortune could well inspire the youngsters to play out of their skin. This short series of five ODIs and one T20 international might well have been a no-contest except for the belief that the young West Indies cricketers would be hungry, fearless and raring to taste the riches that their countrymen and successful IPL mega-stars like Chris Gayle, Kieron Pollard and Dwayne Bravo have been flaunting in the Caribbean neighbourhood. Skipper Jason Holder has had a dose of IPL and the goodies it brings in its wake. He would be the ideal guide for the aspirations of the others. It is difficult to see a bigger mismatch in the present context; unless of course ICC-favoured Ireland are pitted against Australia in Australia. India are a world-class team, among the top three in ICC’s ODI ranking while West Indies, ninth in the standings, failed to even qualify for the recently-concluded Champions Trophy. For India, this tour would be the start of preparation for the 2019 World Cup event. 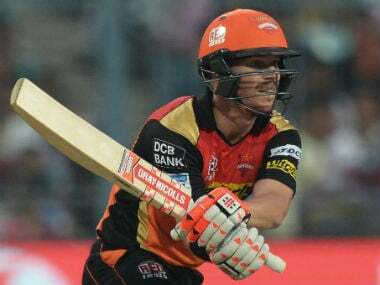 The core of that team is already in place and the two IPL editions, in 2018 and 2019 besides the domestic tournaments, should suffice to throw up fresh talent and enable a pool of 25 players to choose from. Of course, many proven cricketers like Rohit Sharma, KL Rahul and Jasprit Bumrah are not in this team. But that cannot take anything away from the tourists whose strength would continue to be their batting. The two seniors Mahendra Singh Dhoni and Yuvraj Singh would be all too aware of talk of their long-term utility to the team and hence would be keen to show they still have plenty to offer. The slow, low nature of the pitches in the Caribbean may not exactly be conducive to their explosive batting style. But someone like Dhoni is just as adept in squeezing the ball into gaps and keeping the scorers busy. The West Indies have lost two of their last three series at home this year. They lost 2-1 to Pakistan and 3-1 to England. They escaped defeat at the hands of Afghanistan with a 1-1 draw. These are not exactly inspiring results and if there are any great expectations of a better performance against India it is only because of the lure of an IPL contract. This is where all-rounder Roston Chase, who has a Test century against India, and explosive opening batsman Evin Lewis could be the ones to watch out for. Another talent, Rovman Powell was bought by Kolkata Knight Riders because of his athleticism and all round prowess reminded them of their former West Indian asset, Andre Russell. Another West Indian who could make a name for himself could be young Alzarri Joseph, one of the most exciting fast bowling hopes to emerge from the Caribbean in recent times. But India should not break a sweat. Of course, their opening batting combination has been split with the resting of Rohit. 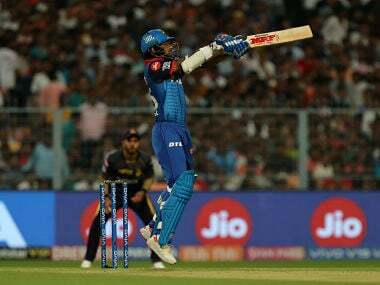 But skipper Virat Kohli has already stated that Ajinkya Rahane will fill the void and open in all five ODIs with the in-form Shikhar Dhawan. It would be interesting to see if India play left-arm wrist spinner Kuldeep Yadav. He could be just the attacking bowler needed in the line-up. His chinaman and googly will confound batsmen unused to playing wrist spin. Another cricketer in the present team that India have high hopes from is the left-hand wicketkeeper-batsman Rishabh Pant. The youngster is a hard-hitting stroke-maker and bats with refreshing freedom. Both Kuldeep and Pant may not get to play all the matches. But it would be worthwhile to give them an opportunity to prove themselves on the big stage. If they come good, then India would have a healthier pool to fall back on. Other things being equal India should have a good run in the series. They pack plenty of experience and ability for this current West Indies team. However, the day’s form is paramount in limited overs cricket. One explosive innings or one incisive spell of bowling could tilt the balance substantially. India will be hoping that it has all bases covered for all eventualities.